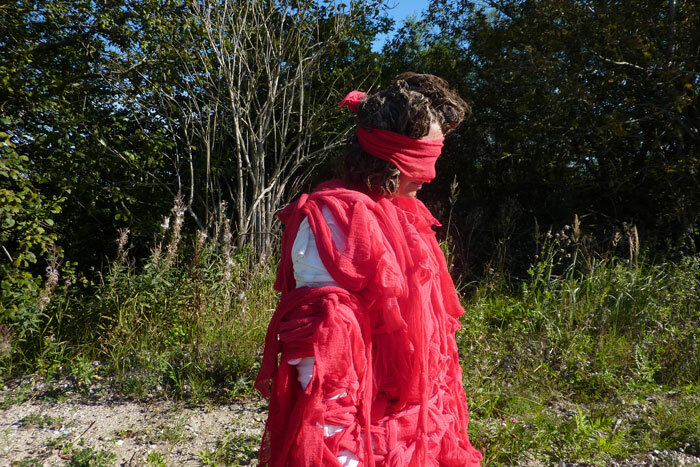 Artist Annette Skov examines odds spaces in a continuous dialogue between landscape and body. 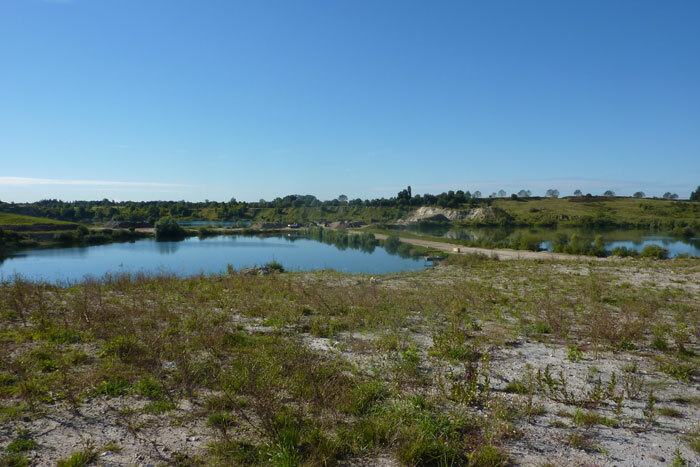 This time the target is a Zealand gravel pit â€“ a violent and dynamic cultural landscape, which after 100 years of intense excavation is now remodelled with surplus earth from excavations for roads and buildings. 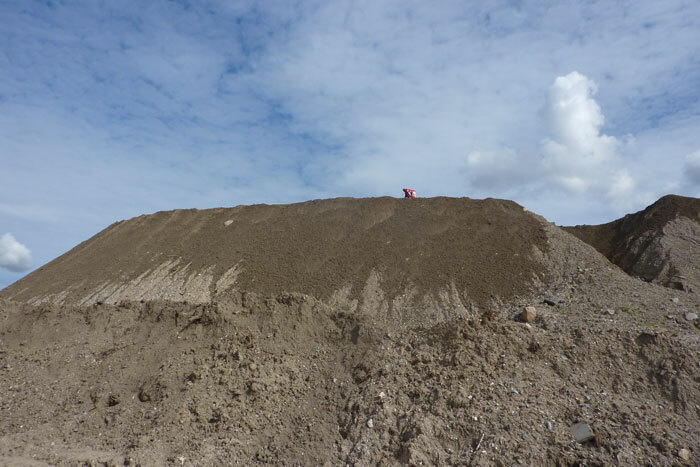 The machines whose mission was to dig and remove gravel now have another task: To fill the enormous area with earth which others wish to get rid of. 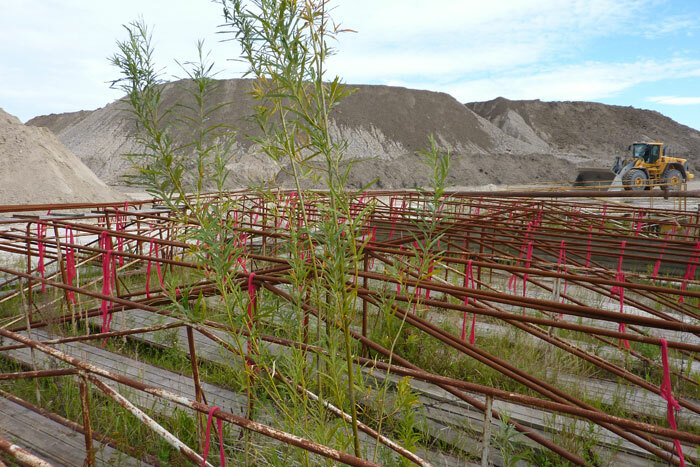 Amidst this construction of new landscape La Basurera appears and makes her journey. The Spanish word â€œbasuraâ€� means â€œgarbageâ€�, and â€œLa Basureraâ€� may be translated into â€�the garbage womanâ€�. And who may she be, â€œLa Basureraâ€�? Samurai, Lazarus, gipsy, warrior, witch, confounded, banished, persecuted â€“ or released? 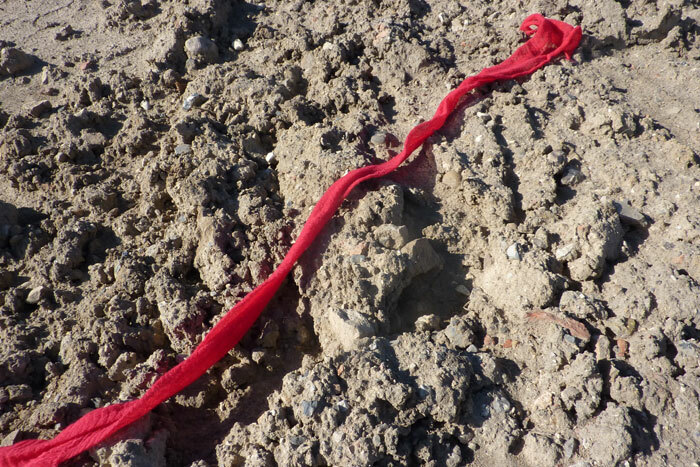 A body, wrapped in cloth, a delegate who has a score to settle with a space, and who with an odd determination carries out her enterprise and eventually surrenders, is removed, dissolved, immersed. The real world with its heavy, brown earth is concrete and existing â€“ and at the same time we glide into a mythical â€“mysterious landscape that becomes the frame of the manifestation of the bodyâ€™s universal vocabulary: to walk, to crawl, to lie, to roll, to fix, to peel off. 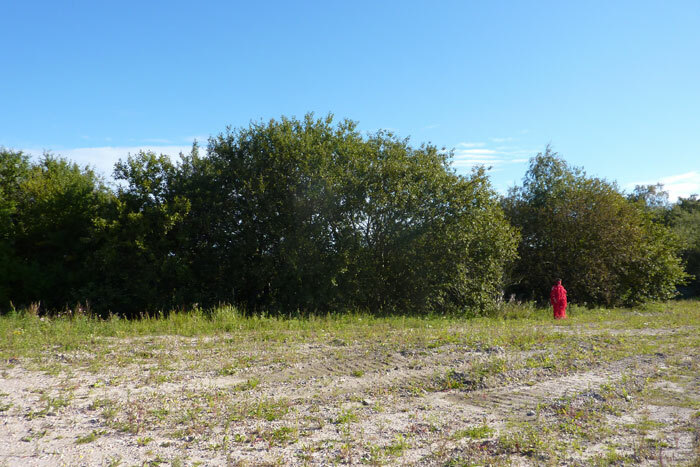 La Basurera is the second work in a number of examinations of odd, archaic, Danish landscapes. 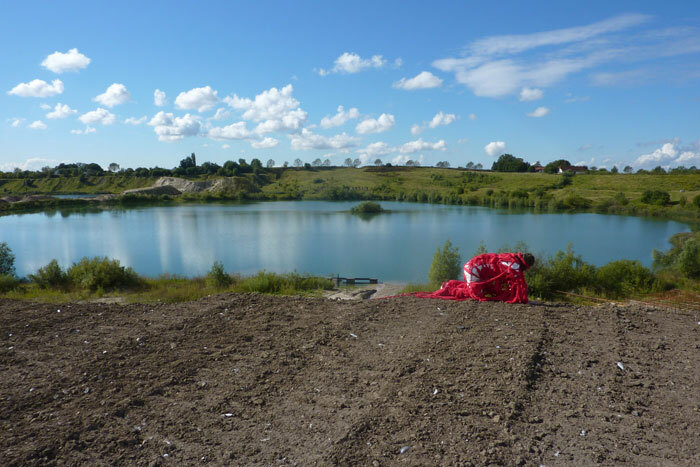 In 2009 Annette Skov looked into a sand pit in Mid Jutland and created her exhibition Arena with installations, video, photos, and objects.